Who doesn’t want to live in a beautiful and cozy home? And that is why, designing or decorating interiors is often a fun and creative activity. But when space is a premium, you will definitely need to brainstorm to accommodate the right furniture and decor accessories. After all, making a small home both aesthetic and functional is not an easy task. 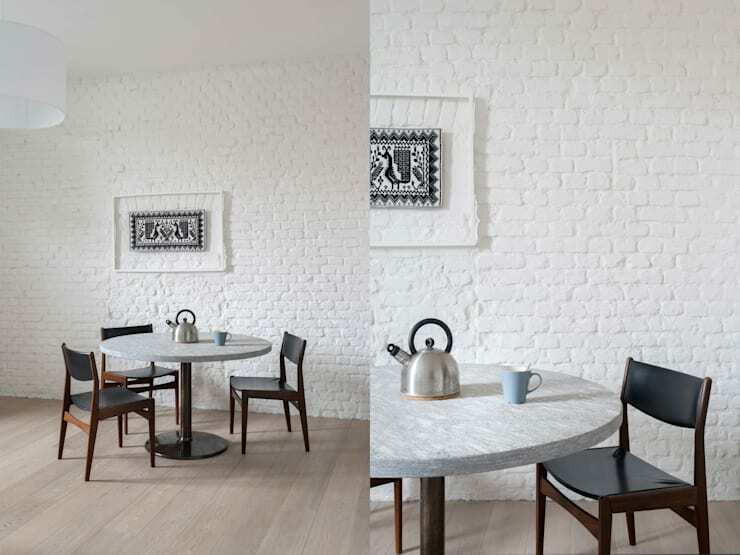 So take a cue from these 7 smartly furnished and tastefully adorned apartments today. 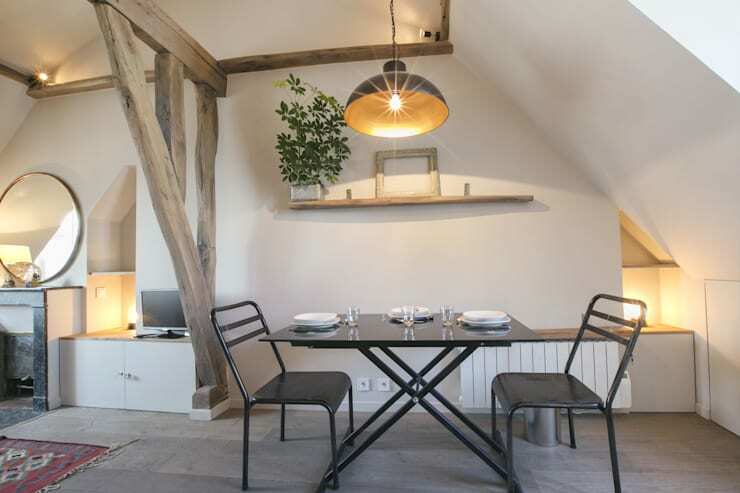 They are all under 900 square feet but stunning and inviting. 1. 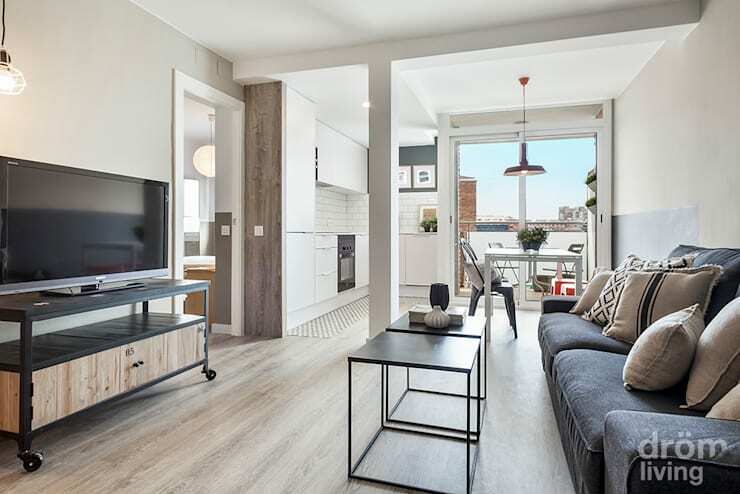 Trendy elegance in 750 sq.ft. 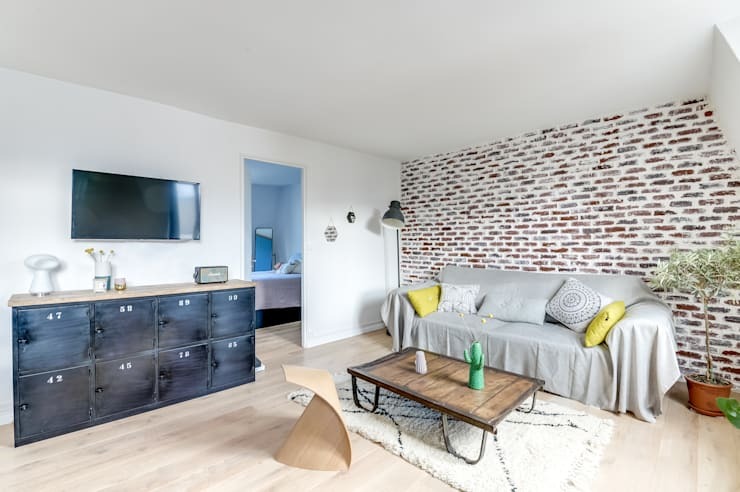 Well-chosen furniture, rich walnut wainscoting and a beautiful painting make this small apartment classy and contemporary. The black leather armchairs contrast the white fabric sofas elegantly too. Credit goes to the architects at MD Creative Lab – Architettura & Design. 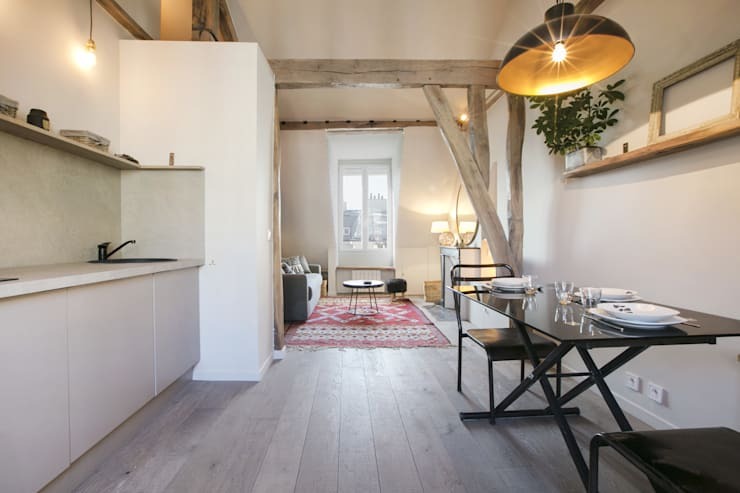 Despite its modest size, this apartment is practical and cosy, and perfect for a young couple with child. 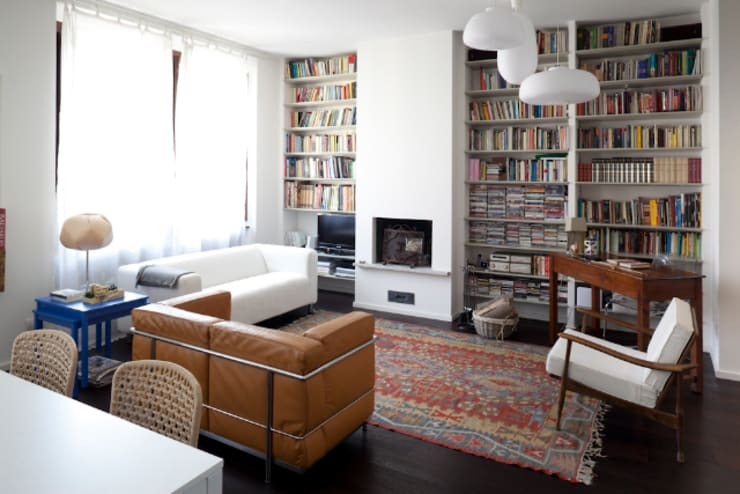 We especially love how almost an entire wall in the living room has been devoted to bookshelves which flank the fireplace. The kitchen is well-integrated with the dining and living and looks charming with an old closet offering additional storage. 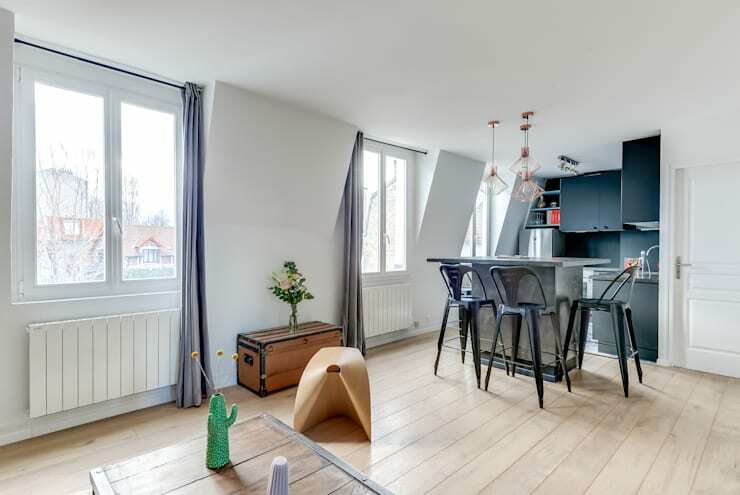 Brightly painted steel furniture dominates the child’s room along with cosy textiles. 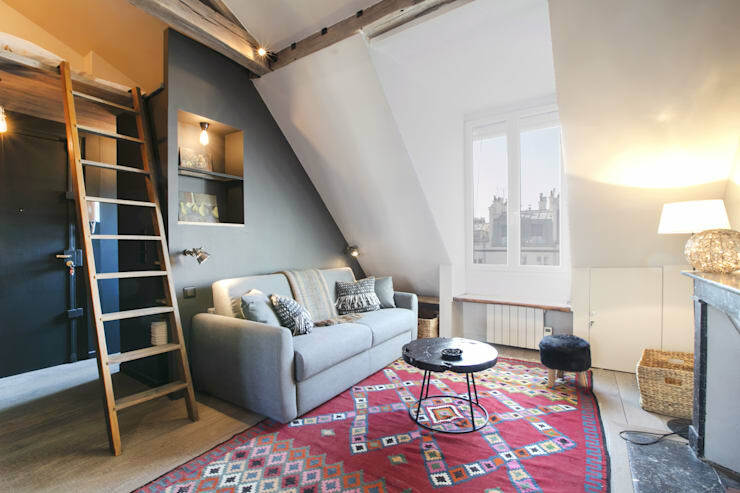 Situated in the dreamy city of Paris, this small loft apartment has benefitted from an open plan layout. The living space is simply furnished with a cosy couch and vibrant rug, while smart niches and sleek cabinets offer storage room. Neutral and soothing hues dominate the kitchen and dining space, while the black metal dining furniture lends an industrial chic look. The stately neoclassical fireplace in dark marble along with the large circular mirror adds oodles of classiness to this apartment. 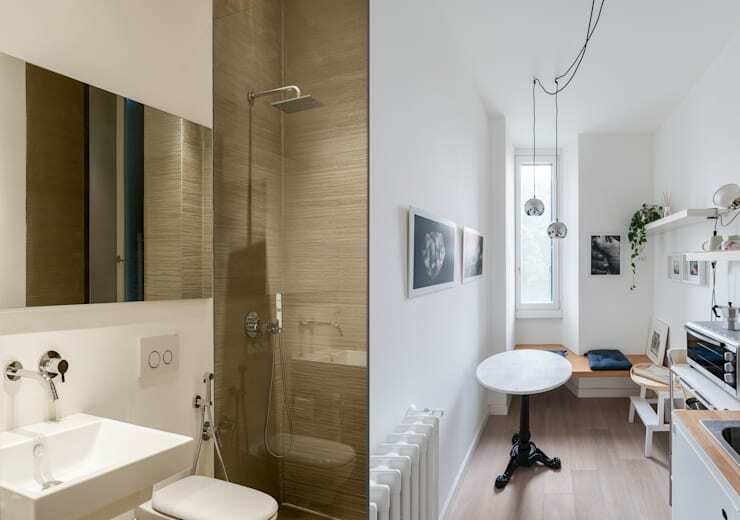 The mirror and the golden lighting create the illusion of extra space and make for a soothing ambiance. 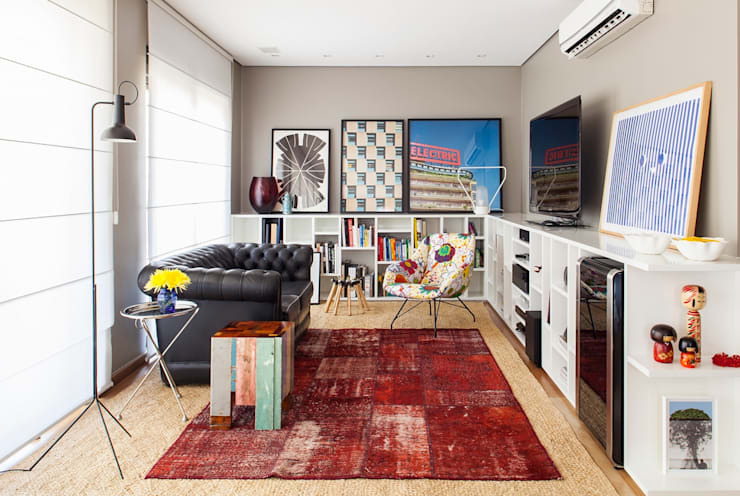 This one bedroom apartment in Brazil is a concoction of bright colours, sharp and trendy designs and playful decorative accents. 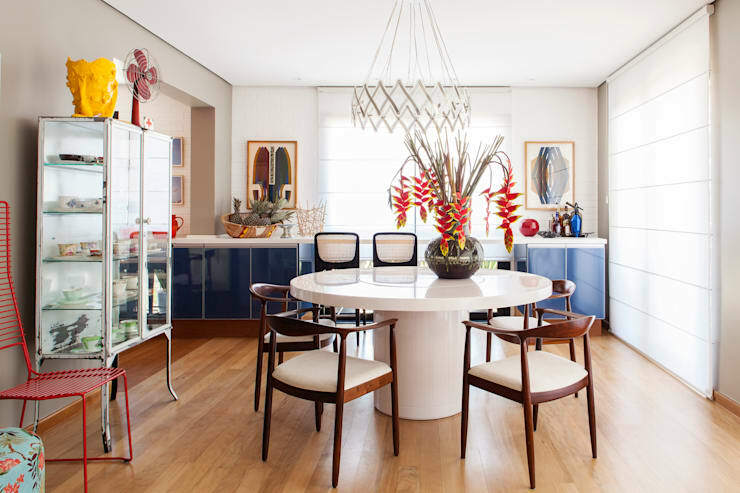 The stunning blue kitchen counter, the vibrant red rug in the living space, the lively flower arrangements and the gorgeous paintings all come together for a cheerful yet elegant look. Nothing seems over the top. 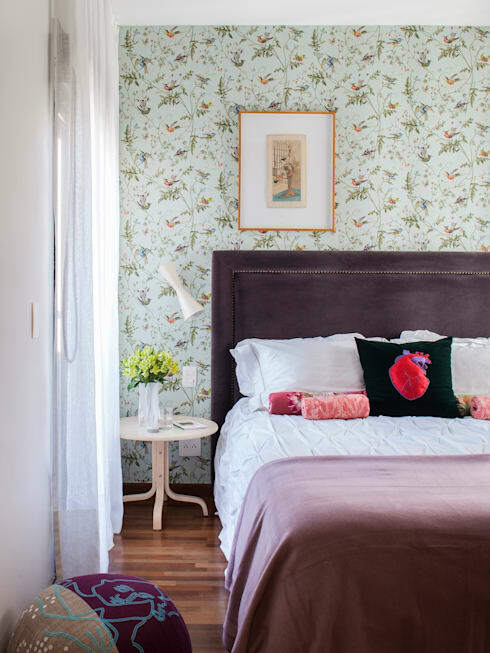 The bedroom comes as a surprise though, with soft pastels and sophisticated patterns ruling the setting. The atmosphere is very relaxing, cosy and romantic as well. 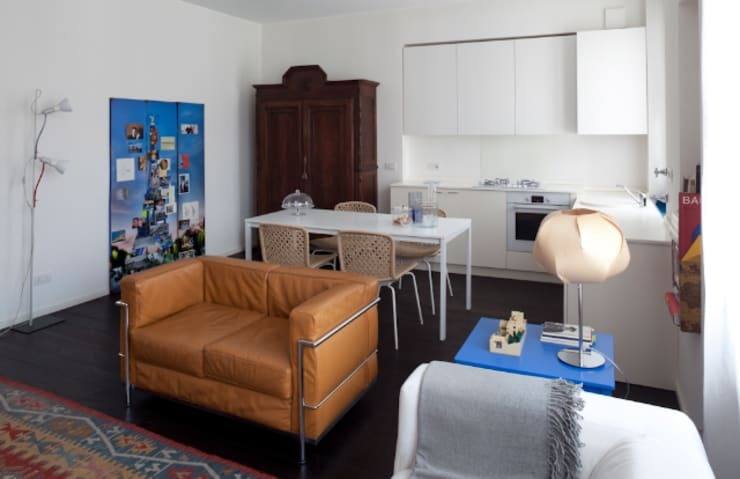 From the cosy round table and brick-finish wall in the dining space to the artistic lamps and smart floating shelves in the kitchen, this Milan apartment is small but powerful. 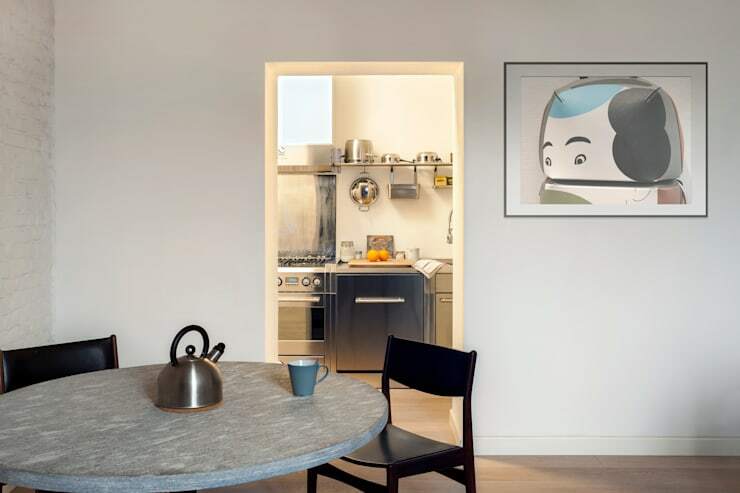 The kitchen also features a stylish wall-mounted bench near the window for hassle-free seating, and the bathroom boasts of neat and minimal designs. 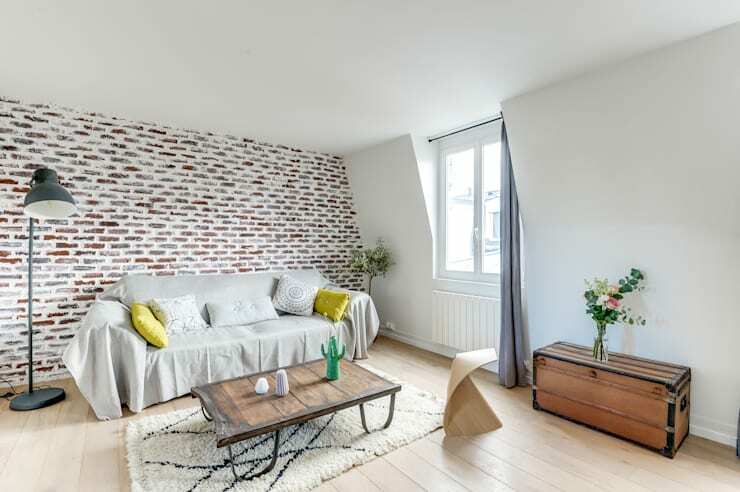 Thanks to some very contemporary furniture crafted from salvaged wood and an exposed brick wall in the living area, this tiny apartment is a stunner. The usage of anthracite grey in the open kitchen along with trendy high chairs is a very industrial chic idea. Large windows and bright yellow cushions keep the home sunny and cheerful always. The lavish use of white makes the kid’s room appear bright and spacious. Inbuilt shelves and cabinets offer tons of storage space without cramping the room’s dimensions. 7. Generously-lit 645 sq. 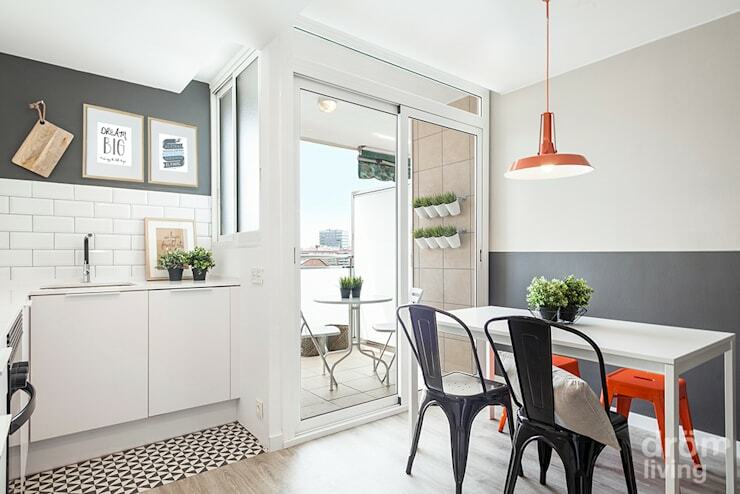 ft.
Small but elegant, this apartment stays flooded with natural light throughout the day, thanks to the terrace adjoining the dining and kitchen. 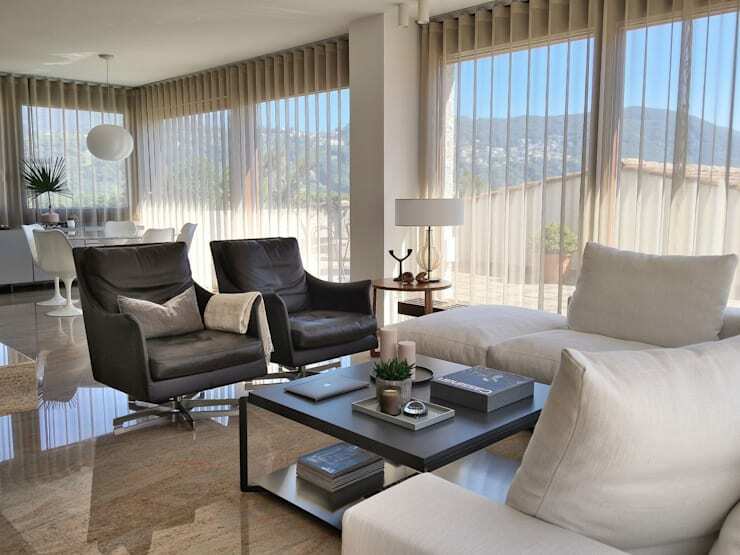 Owing to the open plan layout, the light reaches the living space as well. 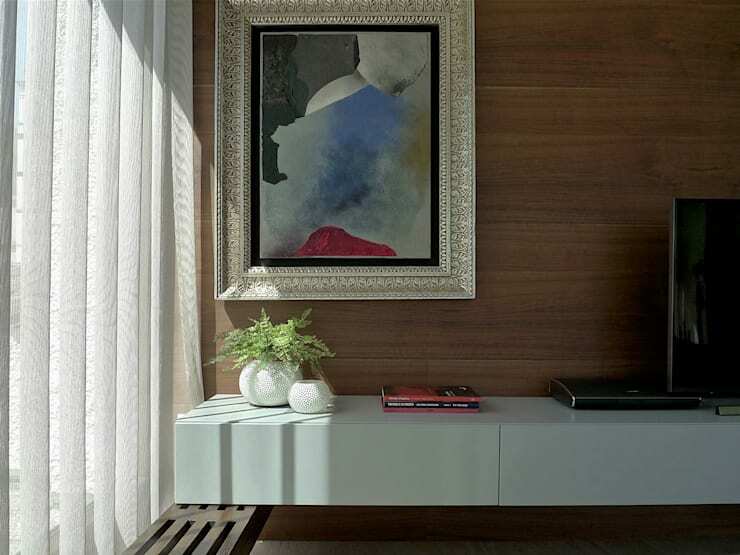 Simple but trendy furniture and soothing colours like white, grey and wood make the ambiance cheerful and cosy. The minimal black coffee tables look exquisite too. 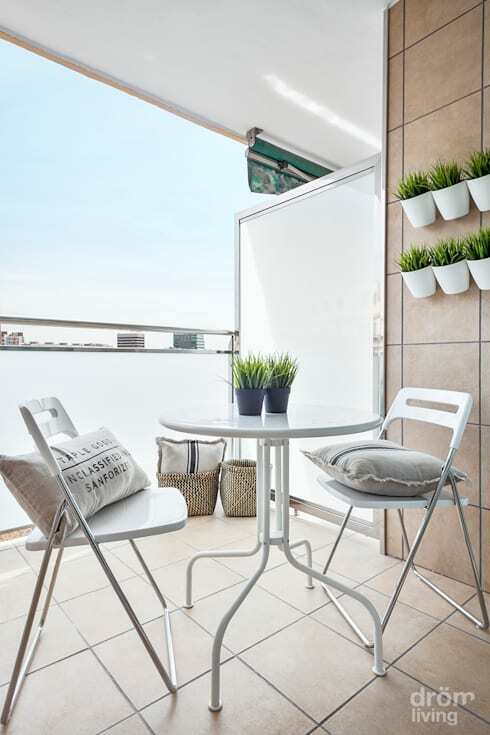 The small but sunny and airy terrace looks beautiful, thanks to the lovely white pots mounted in rows against the wall. What a great vertical garden idea! 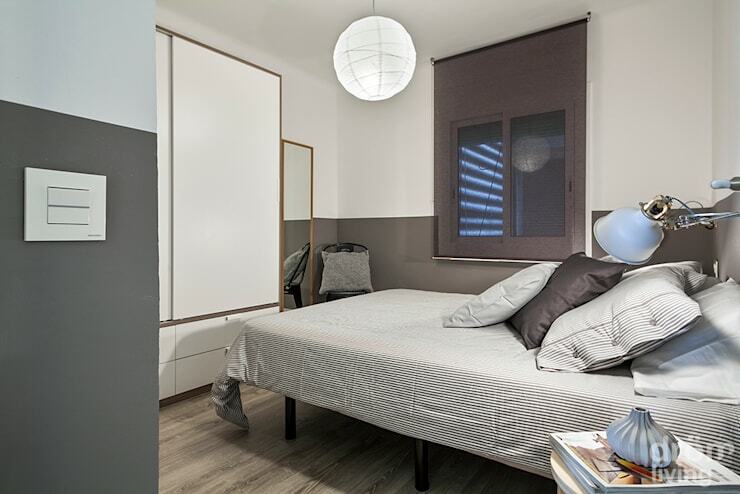 Compact yet soothing, the bedroom combines grey and white tones along with simple and modern furniture for a functional and relaxing ambiance. 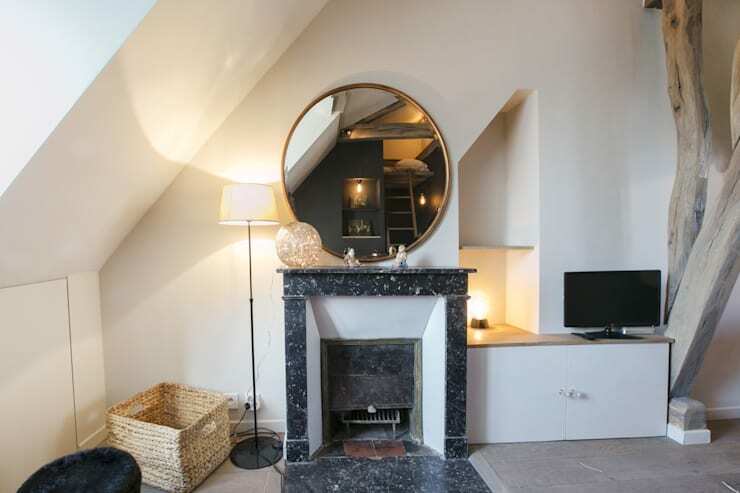 A full-length mirror lends the illusion of extra space too.